In the aftermath of World War I, the Palmer Raids, a failed effort to ratify the League of Nations, economic stagnation and the failing Presidency of Woodrow Wilson, Warren G. Harding ran for president on a promise to return the nation to a better sense of normalcy. Harding was an imperfect messenger. He drank bootlegged booze just as Prohibition was kicking in. He played around on his wife, just as women were given the right to vote for the first time. He was surrounded by Ohio cronies who were dedicated to using Harding’s presidency as a pathway to enriching themselves, just as the Progressive Era, a political movement focused almost exclusively on political reform, was winding down. Harding has been harshly judged by history. His relatively short tenure (he died before his first term expired) was beset by scandal, and while he did have some notable accomplishments, including the establishment of a Budget Bureau and the creation of the Department of Veterans Affairs, the Teapot Dome scandal has come to characterize the Harding administration for the ages. But Harding did succeed in restoring a greater sense of normalcy to America. In the aftermath of the Red Scare, which sent socialist leader Eugene Debs to prison, Harding released him in an effort to calm America’s collective waters. Harding was a leader on civil rights and actively promoted aspiring black politicians, a notable change from the virulently racist Wilson. Perhaps most importantly, Harding steered away from crisis politics and put government back into its proper role in society. And by limiting government expansion, Harding helped create the economic dynamic that led to the Roaring ’20s, a brisk period of economic growth. 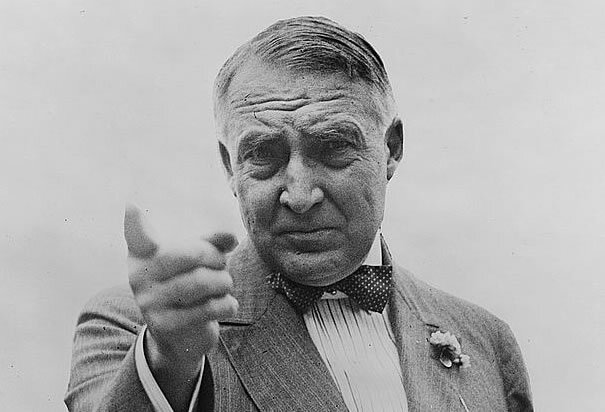 Warren Harding is a poor model for Mitt Romney to emulate, but his message of a return to normalcy strikes a chord. It has been slightly more than 10 years since the attacks of 9/11. We have fought two wars, in Afghanistan and Iraq, that have drained our military and a global war on terror that has chiefly occupied our intelligence agencies. Over the last 15 years, we have seen the tech bubble expand and burst, and we have seen a housing bubble expand and burst. We have endured a Great Recession. During the financial panic of 2008, one of America’s most prominent investment houses collapsed and two of America’s biggest banks veered uncomfortably close to failure. America’s auto companies also teetered on the edge of a bankruptcy, as did many small towns and big municipalities. Over the last three and a half years, America’s anxiety level hasn’t appreciably diminished. The economy has grown, but not at a rate that will give jobs to the jobless. The Obama administration focused on a divisive healthcare overhaul, jamming it through both chambers of the Congress, rather than focusing first on job creation. That healthcare law inspired outraged protesters and a political movement aimed at overthrowing the political elites. A president who was elected on the promise of “Change You Can Believe” now bases his whole reelection campaign on the false notion that he single-handedly killed the greatest terrorist in history. This same president employs class-war rhetoric that would make Henry Wallace —the former leftist vice president to Franklin Roosevelt — blush. What America needs today is a return to normalcy. The American people need greater confidence that the government will do what it is supposed to do and not what it is not constitutionally mandated to do. They need a greater sense of economic security that comes from a political leadership that has an abiding faith in the market system. They need a president who will focus first on getting our country’s financial house in order and not on whatever political whim comes to mind. We have been through a lot as a nation in the last decade. We need a chance to catch our breath so that we can move forward.